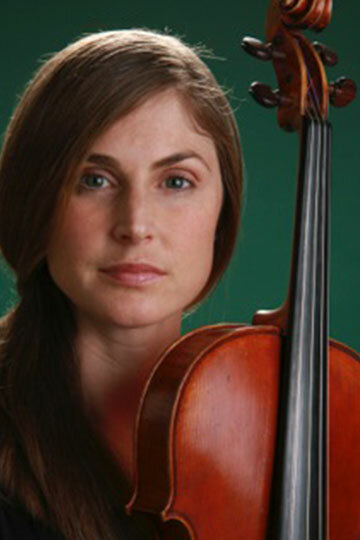 Suzanne LeFevre has led an active orchestral career and chamber music life, which has involved playing in numerous orchestras and ensembles in the US, as well as Europe, including: Principal Viola of the Louisiana Philharmonic Orchestra, Assistant Principal Viola of the Charlotte Symphony, Principal viola of Mercury Baroque, Nederlands Philharmonic Orchestra, Granada Symphony Orchestra, Milwaukee Ballet Orchestra, and New Haven Symphony. Suzanne spends the summers participating in the Grand Teton Music Festival, and Peninsula Music Festival in Door County, Wisconsin, her native state. After spending 20 months in Antwerp Belgium, in 2005, Suzanne moved to Houston, Texas, where she is currently a violist with ROCO and Houston Grand Opera. She is an Affiliate Artist at the Moores School of Music at the University of Houston, and an associate artist director of ROCO.